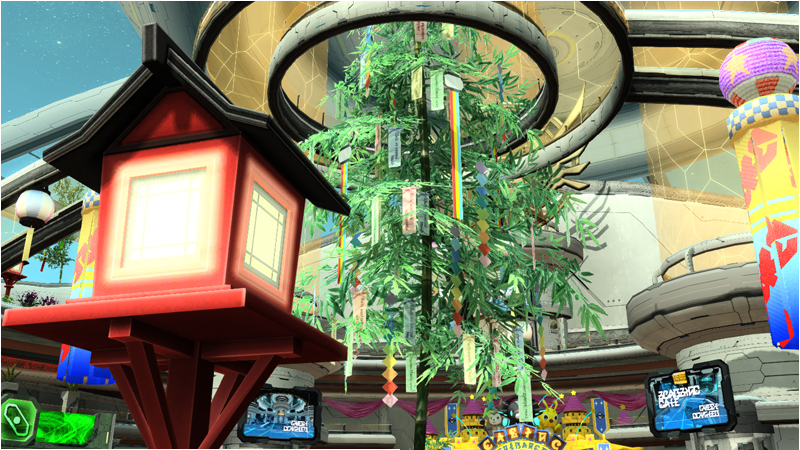 The celebration of PSO2’s 3rd Anniversary continues with a new bingo card and ARKS Ship Competition after today’s update! The 3rd Anniversary ARKS Museum Character Contest entry period ends June 24th @ 16:00 JST. Details here. Round 1 begins June 28th @ 12:00 JST. When interacting with Arkuma and Arkumami, you can now check the other team’s Round Boost information in the [Standings] area for rounds that have ended. Arkumami does not appear within the 3rd Anniversary Cup. 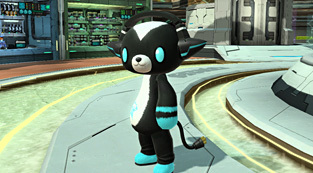 Want to get your hands on the PSO1 costumes? Well here’s your chance!! Players who purchase AC Scratch bundles during the campaign period, will receive these bonus items at a future date. Purchase the [12x AC Scratch Bundle] again to receive 2 Ragol Memories. ※A maximum of 4 Ragol Memories can be obtained through this method. Purchase the [11x AC Scratch Gold Ticket Bundle] again to receive 5 Ragol Memories. ※A maximum of 10 Ragol Memories can be obtained through this method. ※ You can obtain a maximum of 14 Ragol Memories. ※ Players must purchase either the [12x AC Scratch Ticket Bundle] or [11x AC Scratch Gold Ticket Bundle] to qualify. Purchasing the [200AC Scratch Card] or [500AC Scratch Card] will not qualify for the campaign. 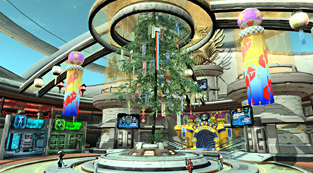 Ragol Memories can be traded in to receive PSO1 costumes, music discs, stickers, and more! Sega is offering a one-time discount on your first AC Scratch ticket. This discount will be available when you purchase the ticket from the AC Shop menu. Open up the AC Shop window and look for the AC Scratch ticket highlighted in yellow. This ticket is available at the discounted price of 100 AC and can only be purchased once. 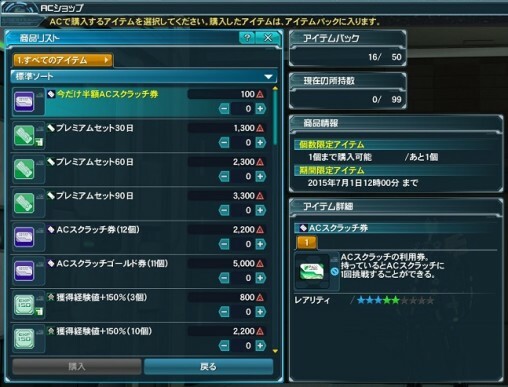 Afterwards, head to the AC Scratch window, select a 200 AC Scratch game, and use the ticket from that menu. ※ When you are in the AC Scratch menu, please take note of your choices, as you may accidentally consume AC instead of the ticket you just purchased. Complete Hans and Revelle’s client orders within the campaign period to receive rewards at the Visiphone!